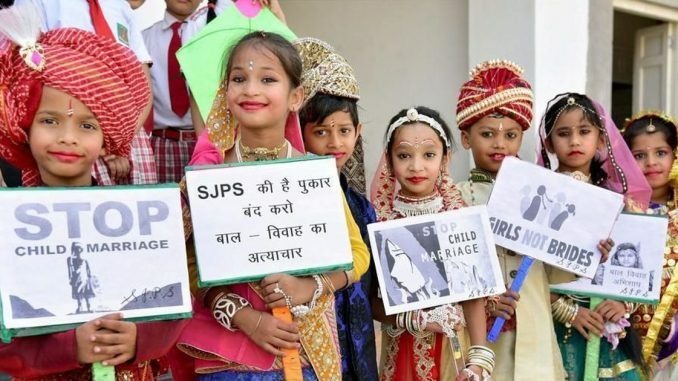 MUMBAI : (Thomson Reuters Foundation) – A mobile phone app is the latest tool for campaigners seeking to end child marriage in the eastern Indian state of Bihar, where nearly two-thirds of girls in some of its rural areas are married before the legal age of 18. The app, Bandhan Tod, was developed by Gender Alliance – a collective of more than 270 charities in Bihar focused on gender rights – and launched this week by Deputy Chief Minister Sushil Kumar Modi. It is backed by the United Nations Population Fund. Bandhan Tod – meaning “break the binds” – includes classes on child marriage and dowries, and their ill effects. It also has an SOS button that notifies the team when activated.